As a problem solver with the ability to navigate the inner workings of the bankruptcy claims and noticing processes, Eric Westberg is frequently called upon to advise clients on cost-effective solutions through each stage of the administration of a case. Mr. Westberg manages the Bankruptcy Team in GCG’s Seattle office, where he handles a variety of day-to-day bankruptcy case operations. As a problem solver with the ability to navigate the inner workings of the bankruptcy claims and noticing processes, Eric Westberg is frequently called upon to advise clients on cost-effective solutions through each stage of the administration of a case. Mr. Westberg manages the Bankruptcy Team in GCG’s Seattle office, where he handles a variety of day-to-day bankruptcy case operations. 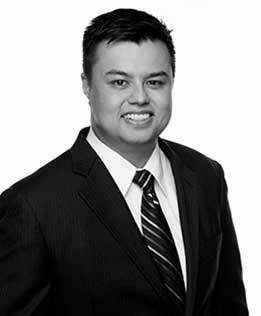 Since joining GCG four years ago, his work has included numerous large and complex bankruptcy cases such as Motors Liquidation Company, et al. (fka General Motors Corp., et al. ), AMR Corporation, et al. (American Airlines), and Quicksilver Resources Inc.